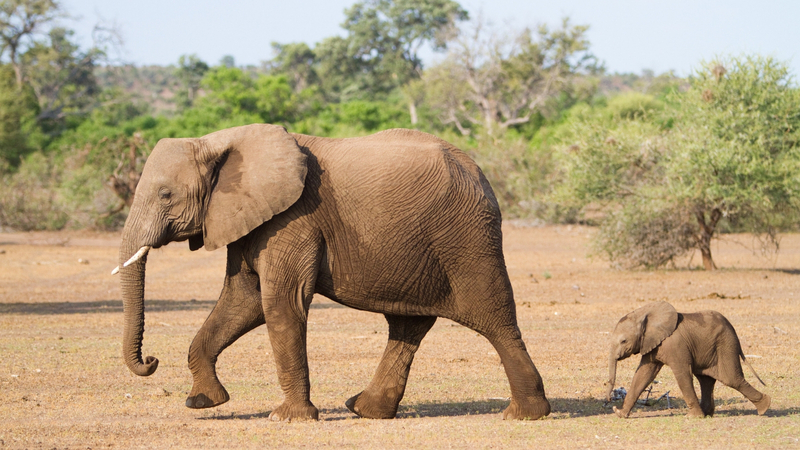 Unless we reverse current trends, African elephants are in danger of extinction. While just a few decades ago, there were millions of these creatures walking the planet, now there are just 415,000. The steep population drop is in large part due to hunting and poaching for their ivory tusks. If we’re not willing to save elephants, what are we willing to save? Under the Obama administration, the import of elephant trophies was banned outright under the Endangered Species Act. But in December, the United States Court of Appeals for the District of Columbia Circuit found that officials had not followed regulatory procedures when installing the ban, including not opening up the decision to public comment. Then in March, the Trump administration officially reversed the ban on elephant hunt trophies—putting the future of at-risk African elephants in danger. Secretary of the Interior Zinke has since placed avid trophy hunters in charge of conservation efforts, appointing leaders of major hunting groups—and the director of the National Rifle Association’s hunting policy—to the International Wildlife Conservation Council. In response, Environmental Action supporters joined more than a million wildlife defenders across the country to ask President Trump to reinstate the elephant trophy ban. Thousands more called for change to ensure the protection of elephants and other animals, retweeting our post and sharing it on Facebook. We need to do everything we can to preserve and enlarge African elephants’ natural habitat and create systems that encourage people to protect, not poach, these creatures. To get there, we need to stop incentivizing hunting. We need to to keep the ban on bringing back “trophies” from killing these vulnerable animals. Now we’re working to turn this ban into law by supporting the Prohibiting Threatened and Endangered Animal (ProTECT) Act. The legislation would prohibit “trophy hunting in the United States of any species listed under the Endangered Species Act,” and “prohibit the import of any trophy of an ESA-listed species into the United States” for good. We have the chance now to ban elephant hunt trophies once and for all—and we’re working to see that happen.